The Grauer School is built upon deep and proven traditions. We have travelled the world for four decades studying the world's most inspirational schools, educators, and educational movements: Montessori, Waldorf, Reggio Emilia, Socratic, free and democratic schooling, expeditionary learning, classical education, from one room schoolhouses to Peking University. We support all these great movements and traditions which have supplied us with heroes, wisdom, and mentors. But a lot has happened in our venerable field—and so our vision grows. Education today is alive with powerful findings about optimal school size, class size, mind and brain research, outdoor and expeditionary learning, values-driven education and much more. 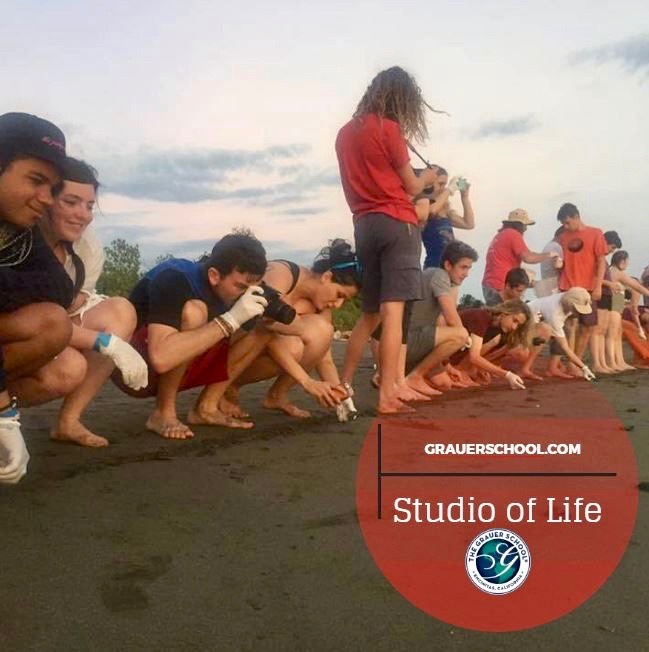 The great traditions are the foundation The Grauer School uses to infuse all we keep learning and synthesizing. The result is a campus of purpose, optimism and inspiration. Every voice matters. We commit to developing the finest, most engaged, humanitarian independent school in the world. The Grauer School research team works year-round with parents, students, faculty and alumni to measure, affirm, refine, and advance all that’s best about our program. Click here to read Dr. Grauer's column, "Educational Philosophy 101"
Did you know Dr. Grauer’s newest book, "Fearless Teaching," is an Amazon best seller in its category?